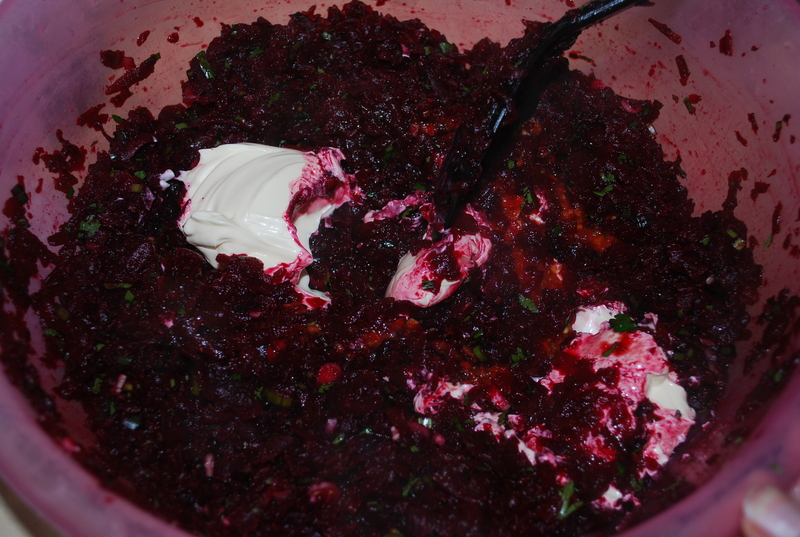 Beetroot dishes are popular in Georgia, especially in winter. 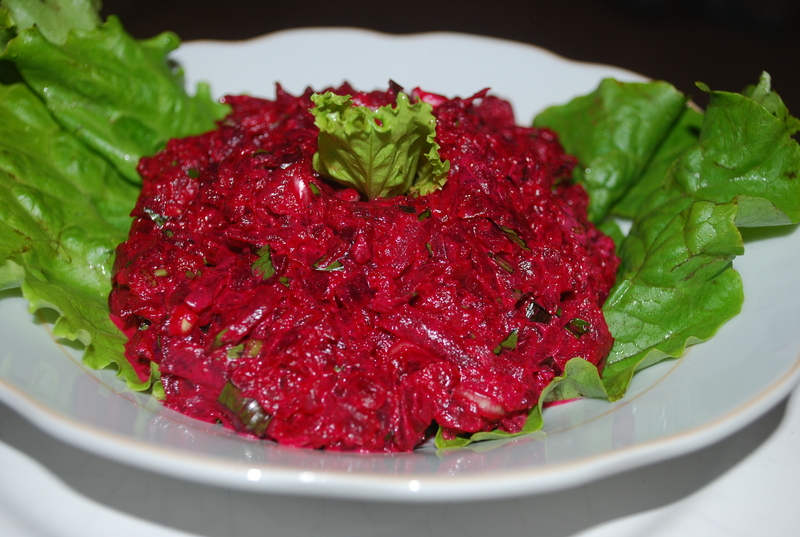 In this family recipe we show how to make a delicious and refreshing beetroot and mayonnaise dish flavored with Georgian tomato sauce and spices. 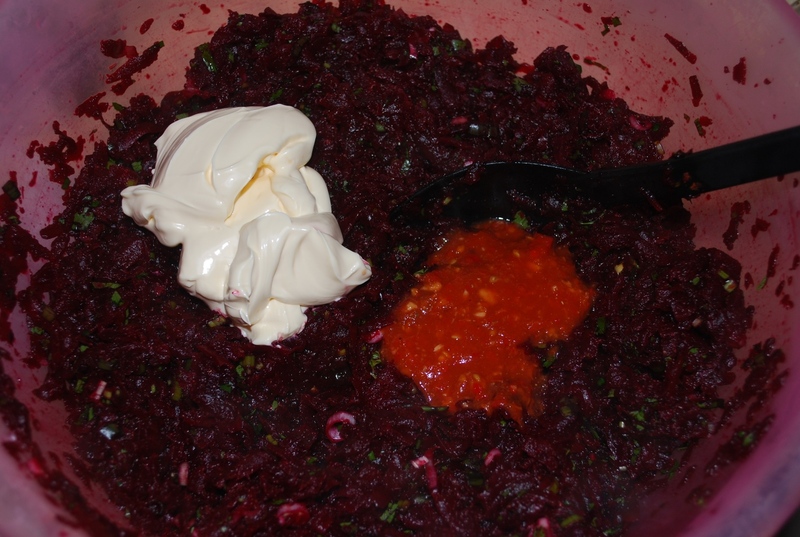 Ingredients: 1 kilo of beetroot, 100 grams of mayonnaise, 80 grams of parsley, 120 grams of green onion, 50 ml of tomato sauce (use our recipe or 1 tbs of tomato puree and 1 clove of garlic), 1 level tsp of red pepper (optional), 1 level tsp of dried coriander, two thirds tsp of blue fenugreek, two third tsp of black pepper, and salt (amount dependent upon personal preference). 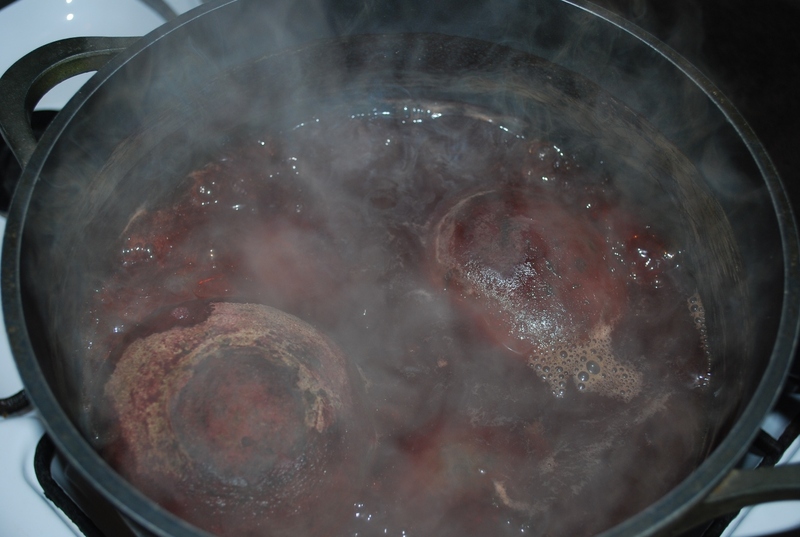 Preparation: Wash the beetroot and boil whole until soft. 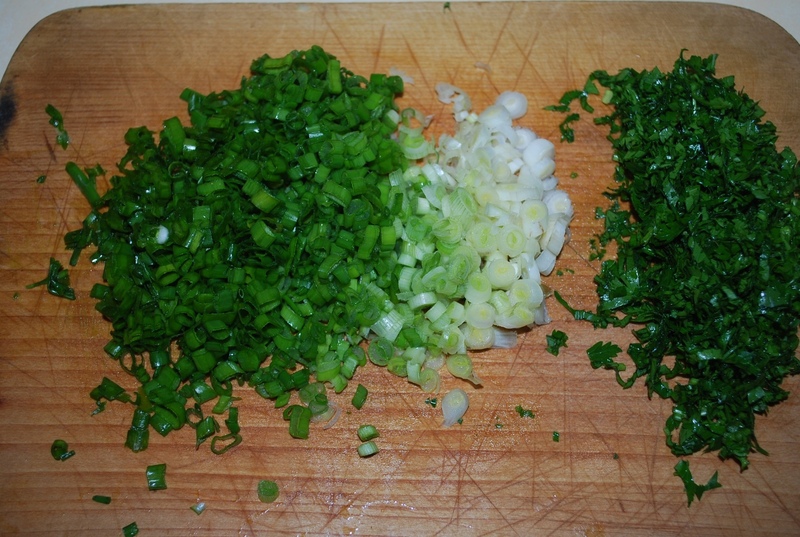 Chop the green onion and parsley. 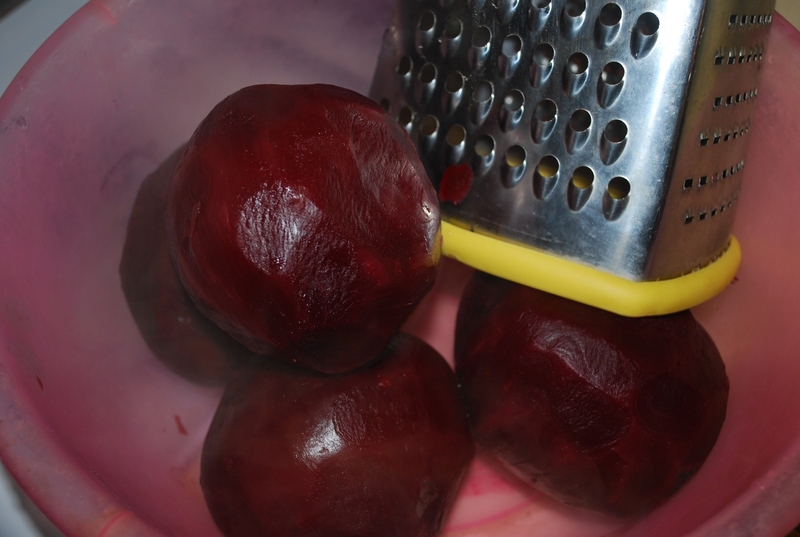 Remove the skin and grate the beetroot. Allow the beetroot to cool a little. 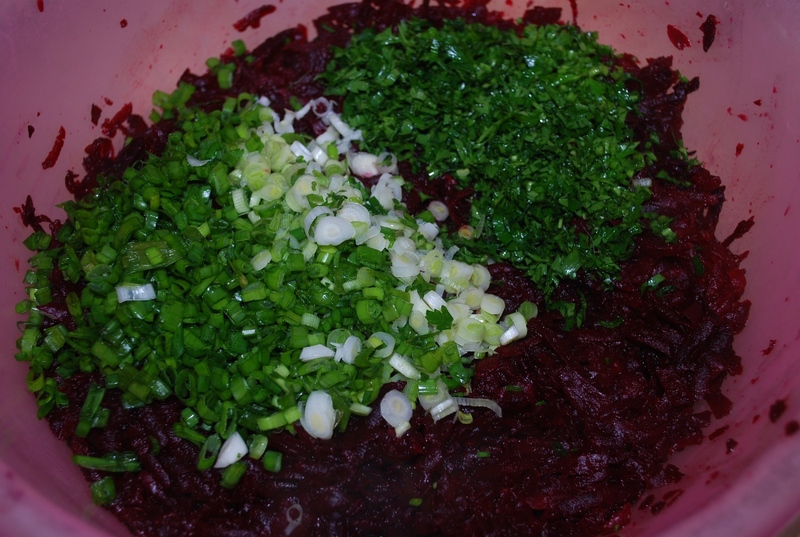 Add the chopped green onion and parsley to the grated beetroot. Mix with a wooden spoon. 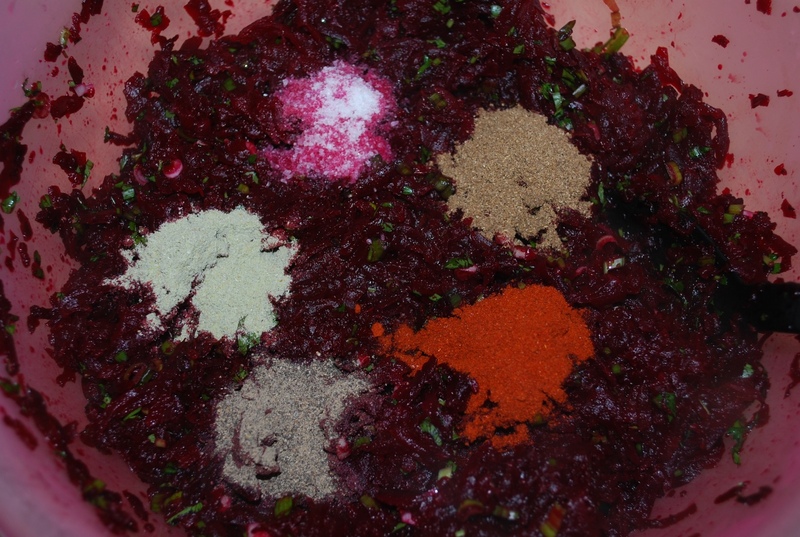 Add 1 level tsp of red pepper (optional), 1 level tsp of dried coriander, two thirds tsp of blue fenugreek, two third tsp of black pepper, and salt (amount dependent upon personal preference). Mix thoroughly. Add the mayonnaise and tomato sauce. 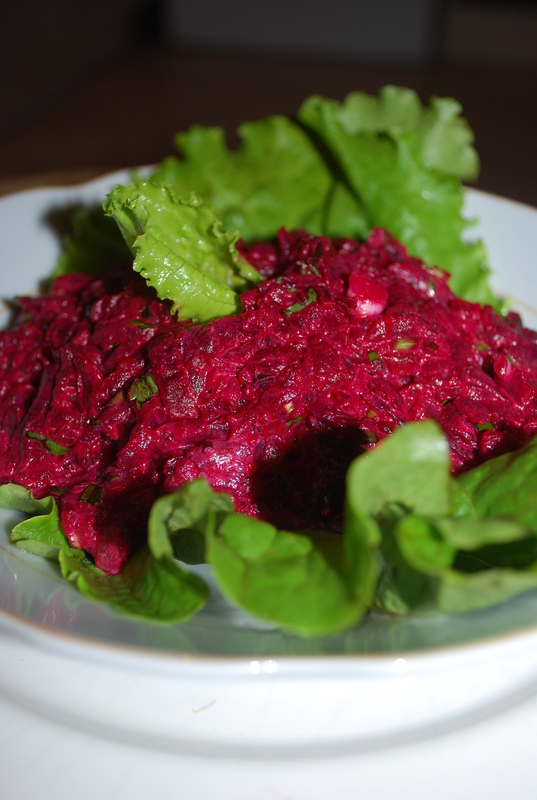 Enjoy your Beetroot with Mayonnaise!